The International Builders Show (“IBS”) runs next Tuesday-Thursday, January 19-21, in Las Vegas. KBIS, Design & Construction Week and a few other shows are embodied within the IBS. It’s a great opportunity to see a lot of product for aging in place solutions and universal design. Beginning next Tuesday, I will be sharing those directly from the Show as I have time. There will be more of them afterward here on this site, in my CAPS classes, and on Pinterest. Speaking of CAPS classes, I will be teaching the CAPS I class (“Marketing and Communication Strategies for Aging and Accessibility”) to a variety of professionals during the IBS Pre-Show Education, this Sunday, January 17th. 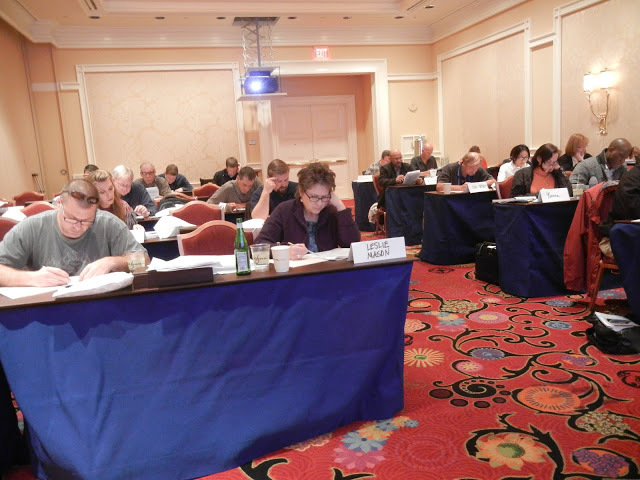 In 2014, I taught the CAPS I class at IBS in Las Vegas also. 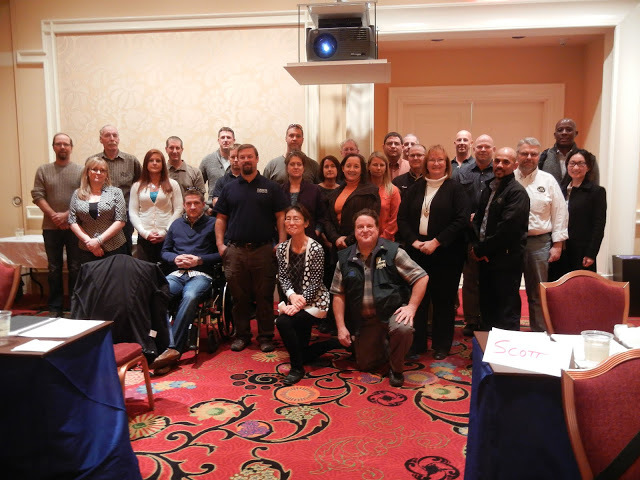 There were 29 people present from around the US and Canada representing construction, home building, building materials, occupational therapy, real estate, durable medical equipment, technology, and other occupations. The pictures below are from that course. For anyone who didn’t know about this class or it doesn’t fit their schedule, check out other dates when all three classes to obtain the CAPS designation will be offered over three consecutive days – in Florida and in the Northeast.